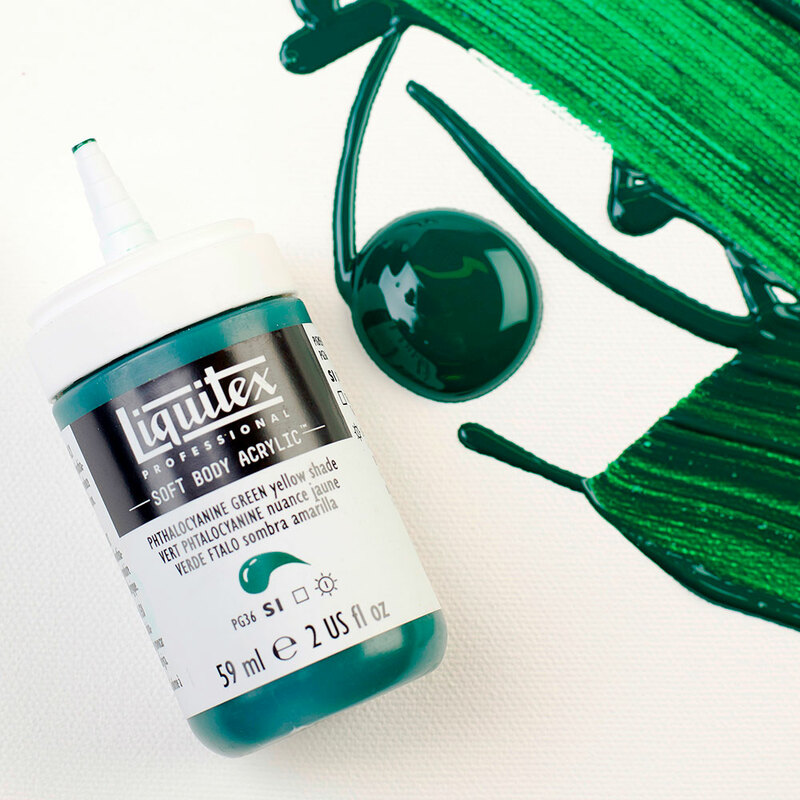 Invented in 1955, this low viscosity paint was the world’s first water-based artist’s acrylic. With excellent coverage, a satin finish and high levels of artist-quality pigment for archival brilliance. This is Soft Body Acrylic from Liquitex. The first of its kind, Soft Body changed the game for artists everywhere. It’s incredibly versatile. 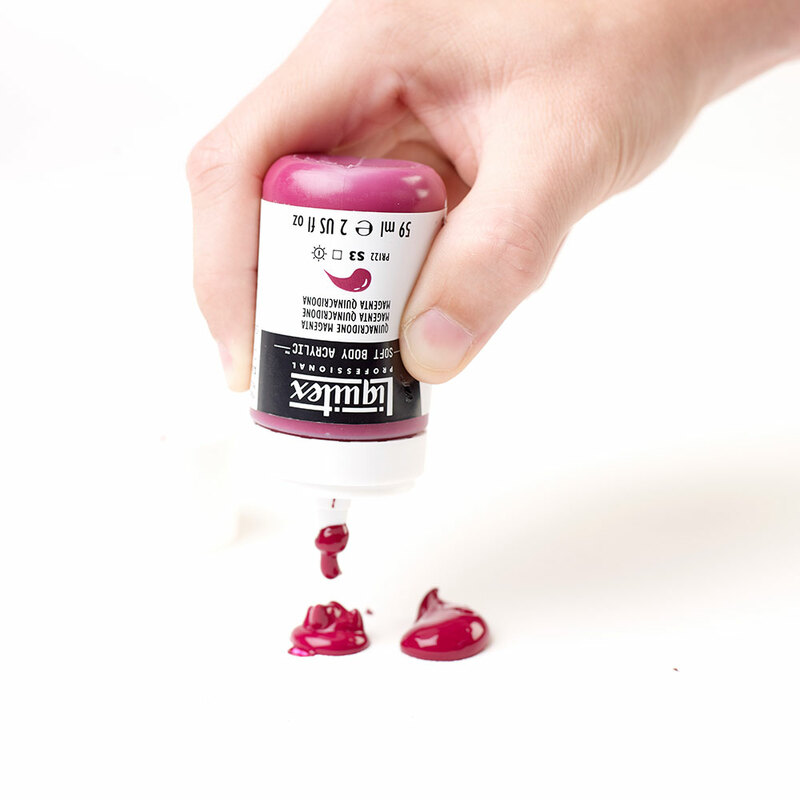 Use it to paint, pour, glaze or print on almost any surface. For fine detail or largescale wall art and everything in between. And it’s now in an ergonomic bottle, designed with artists to be easier to use and more functional. Not a drop of paint will go to waste. 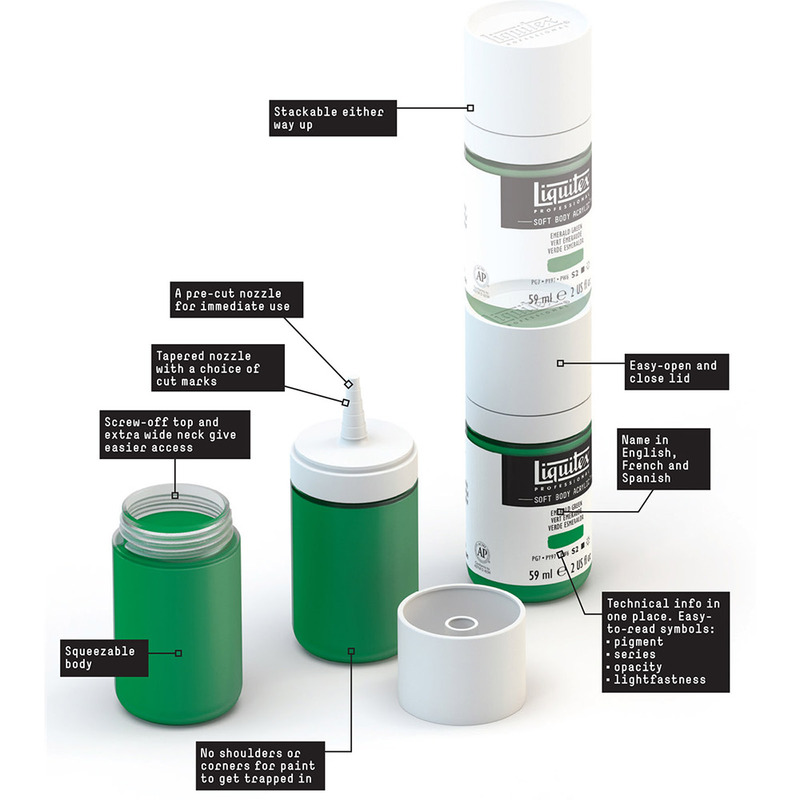 The full range of 100 colours is available in 59ml bottles, with Titanium White available in larger bottles. 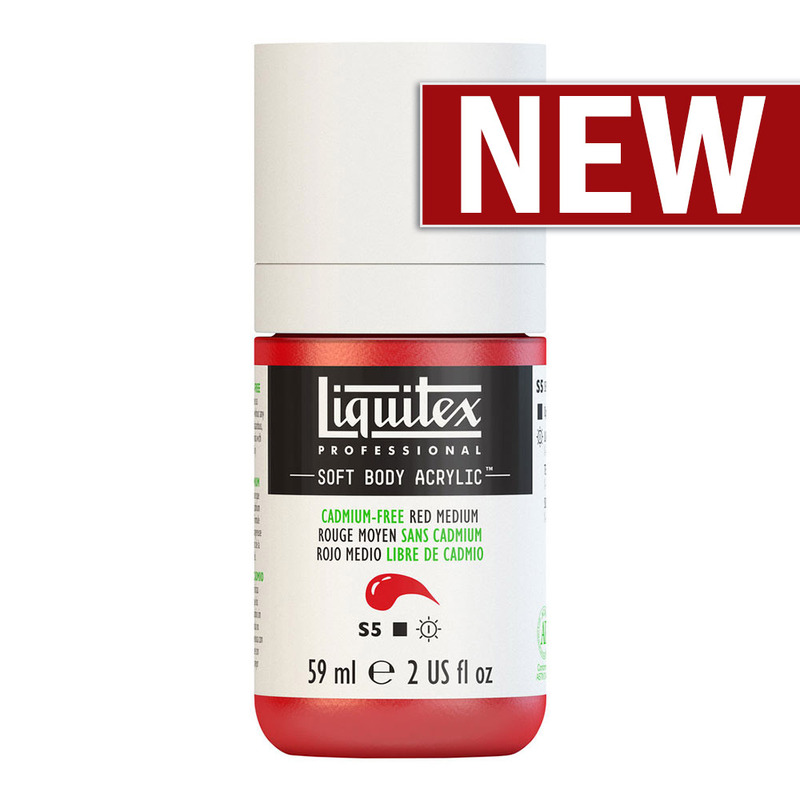 Read more about Liquitex Soft Body Acrylic Colour on our blog. 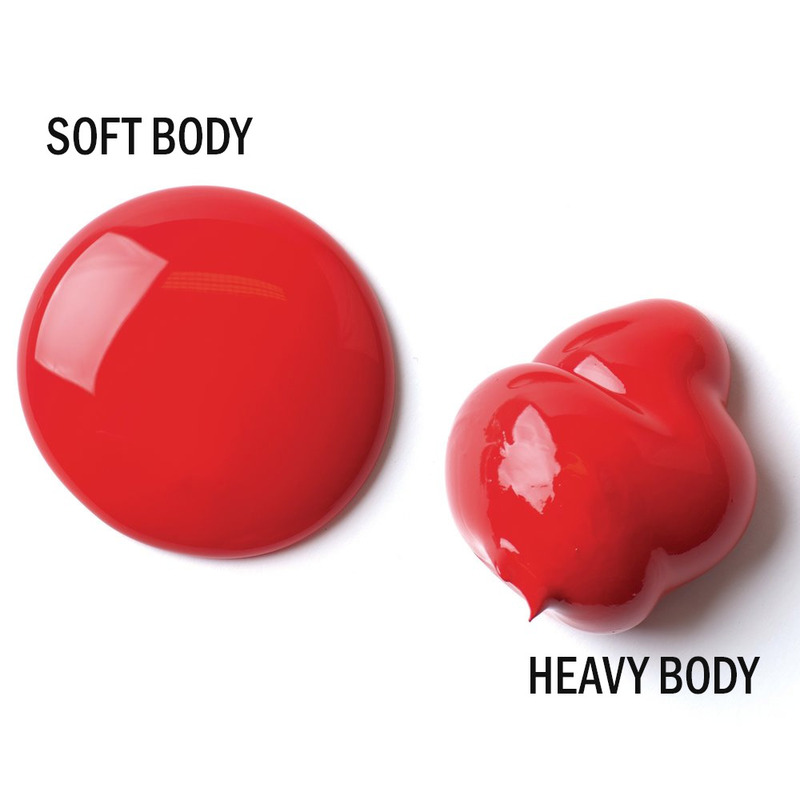 So what’s the difference between Heavy and Soft Body? If you thought Soft Body was just a watered down Heavy Body, you’d be wrong. This flowing, low viscosity formula was actually created first. 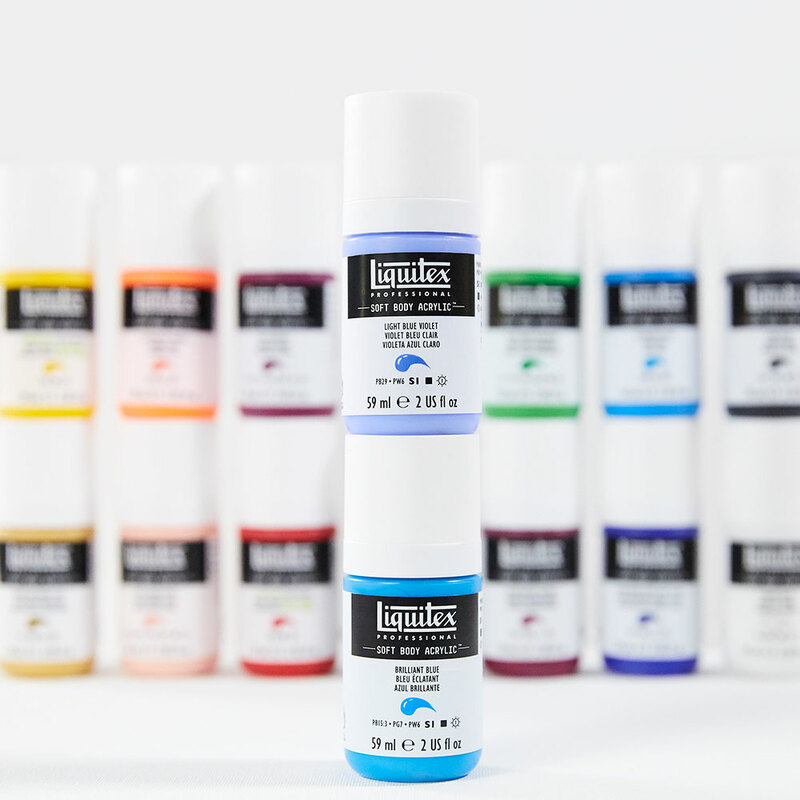 The two paints have compatible binders and pack the same high pigment load. But if you thin Heavy Body with water or medium, you reduce concentration and get noticeably weaker colors. Paint feel, performance and stability is also impacted, so choose the right consistency of paint for the job.